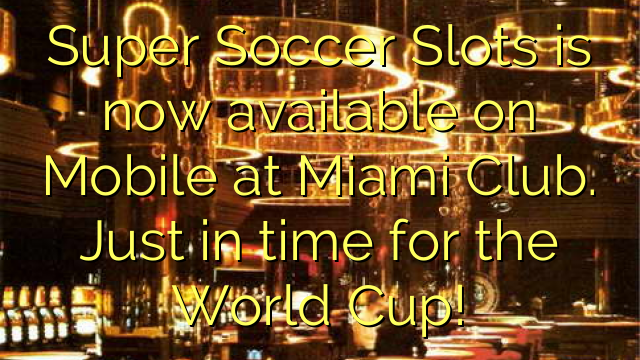 Online Casino Bonus Codes > Super Soccer Slots is now available on Mobile at Miami Club. Just in time for the World Cup! Super Soccer Slots is a soccer themed game with symbols of all the typical soccer goodies. They include a kicker, cheering fan, umpire issuing a red card, soccer ball to the face , field goal kick, goalie blocker and the covenanted trophy. Supper Soccer Slot speaks World Cup Soccer in Russia with its sounds, colors and flags used in the design of the slot game. 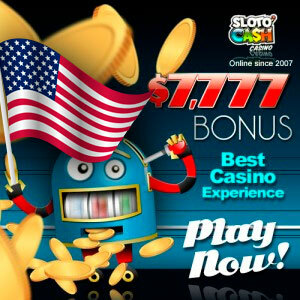 It features 10 Free Spins that can be won where they are tripled. It also has an exciting Knockout Soccer bonus round where you have to choose a country’s flag to win each of the preliminary rounds. If you win, its money in the bank each step of the way, right down to the final two flags to choose from in the match up. The Knockout Bonus Rounds winnings are also tripled! Another nice little touch to the design of Supper Soccer Slots is its winning pay-lines which has a soccer ball leading the pay-line animation that spins at the end of each pay-line.